Canadian game developer BioWare Edmonton has teased a Dragon Age announcement. “Dragon Age is an incredibly important franchise in our studio, and we’re excited to continue its legacy. Look for more on this in the coming month (though I won’t tell you where to look…),” Hudson wrote. It’s not clear what “Dragon Age stuff” means, but it is clear that we should expect something involving the role-playing franchise. IGN suggested a possible announcement could come at The Game Awards, which airs December 6th. Bioware Edmonton is already confirmed to be at the show to reveal new gameplay of its upcoming Anthem sci-fi multiplayer game. Earlier this year, Hudson tweeted that the next Dragon Age game would focus on story and character. Further, the game will follow EA’s “live service” model, where games are continuously built upon and added to over time. Hudson said that means the next Dragon Age will grow continuously, likely through content updates. 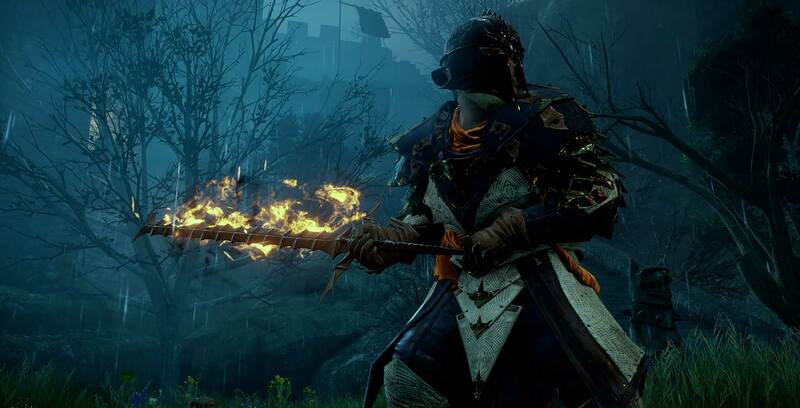 A new Dragon Age would certainly be welcome, as the last installment, Dragon Age: Inquisition, launched in 2014. Hudson also wrote about Anthem as the game nears its February 2019 release, as well as plans for more Mass Effect content going forward.